August 17, 2014 .Reading time 5 minutes. I’m feeling conflicted. It’s my second day back from London, and there are many reflections I’d like to record. Thoughts of why I’m drawn to London more than any city in the world, accounts of the many great experiences I had, observations of how ethnicity and identity functions in the city… But, I’m distracted by what I’ve come home to. I just read an article that in the month I’ve been gone, there have been four killings of young, Black men by our nation’s police. None of these men deserved to be killed, but there are those who are trying to find justifications for their death. In London, I walked around with my Black husband, with no worries of being targeted for our Blackness. When we walked into restaurants, high-end boutiques, pubs, we didn’t worry about being poorly served, not receiving service, or being judged. When we saw London police, our instinct was to become tense, but we quickly realized they didn’t pay us any mind. We even felt comfortable asking two police officers, who were in front of a government building with intimidating automatic assault rifles in their hands, where we could find an Indian restaurant in the area. We were spoken to kindly and politely, and were given directions. Another evening, we went into Brixton—a mostly Black neighborhood—after there had been an all-day festival of reggae, dancehall, and drum and bass. It was rowdy. People were throwing their own after parties on the street, the crowd was predominately Black, police officers were around, but they weren’t intimidating folks, silencing partygoers, or being assholes. I actually felt like they were there “just-in-case” something went wrong. London is far from perfect. London—the capital of the world’s colonizers—has had messy relationships with its continuously growing multiethnic city. There have been battles between ethnicities, and Eastern Europeans are currently at the brunt of ethnic stereotypes and prejudices. Black people don’t have it easy either. 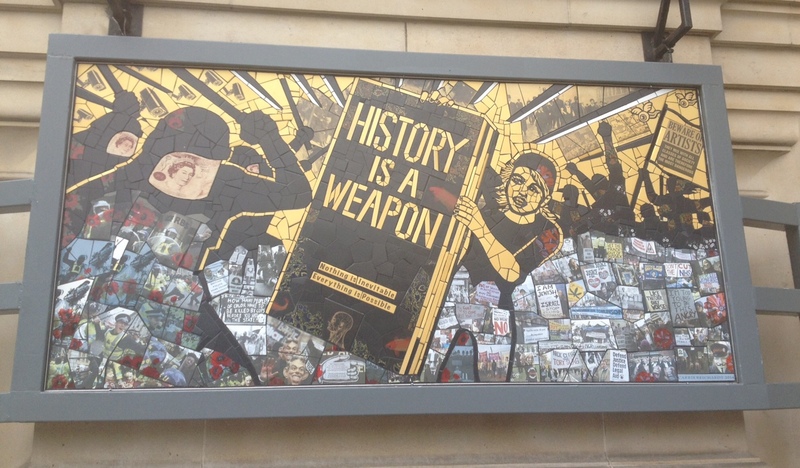 A couple of years ago, there was a young Black man, Mark Duggan, who was shot by a London police officer. According to my friend, the city—particularly its young people—were horrified. Young people of all ethnicities, protested and rioted, because this tragedy was too horrific to ignore. My friend said that people were surprised, because nothing like this had happened before. That was three years ago. Here, in the US, Black lives are being taken for merely being, by cops, neighbors, and people trying to police the actions of Black people. The news of another Black person being murdered for walking down the street with a friend, is no longer news, but a tragedy for some, and a mishap for others. 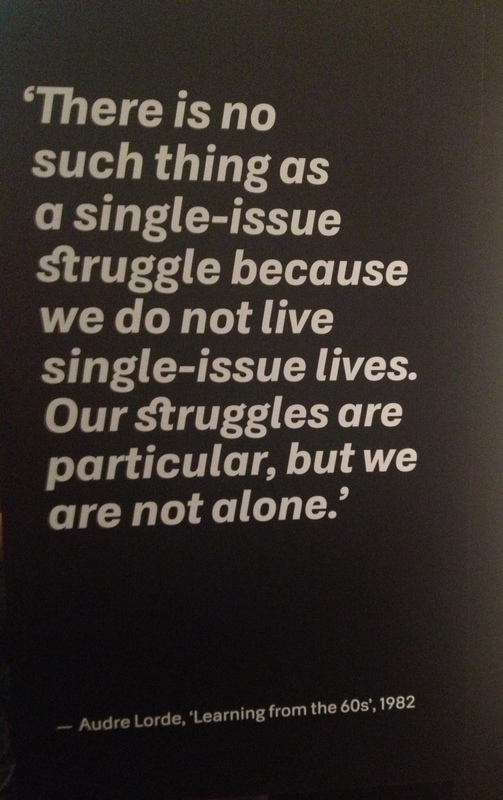 According to MSNBC’s Melissa Harris-Perry, “From 2006 to 2012, a white police officer killed a black person at least twice a week in this country.” There are many of us who are angry, many of us who feel helpless, but too many of us who don’t really care. When you come home after being a way, you’re supposed to feel welcomed. The intensity of being in a foreign place melts, as your shoulders relax. You have loads of memories from your holiday, but you’re relieved to be back in the place where you understand the way things work. But, how is one to feel, when “knowing how things work” means knowing that you’re constantly negotiating your Blackness? Coming home means returning to a place where you’re repeatedly shown that people who look like you, like your brothers, like your sisters, like your husband, don’t matter. How is one to feel when you come home to a place that doesn’t always treat you the same way that they treat people with lighter skin than you? If you return home to a place that makes you feel like you’re continuously on alert for personal safety and basic respect, is that place even home? August 3, 2014 .Reading time 1 minute. 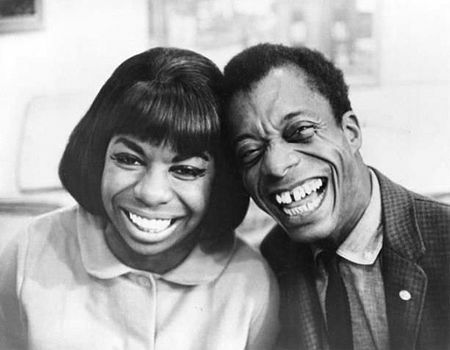 Couldn’t let the day pass without honoring the great and most inspirational, James Baldwin. 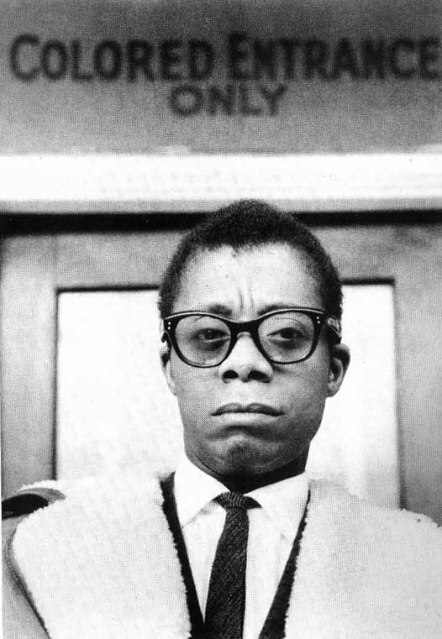 His fearlessness, his pointed tongue, and graceful pen were before his time, but necessary for the progress of Black intellectuals, of American people. I’m forever in awe of the work he produced. To have known him, must have been life-changing, for to have read him has been soul-shifting. To have heard him speak live must have been chilling. His cadence, his dialect, his carefully chosen words… How does one finds power to confront such hate with absolute finesse and grace? Wish he could’ve been my godfather; happy he is my inspiration. 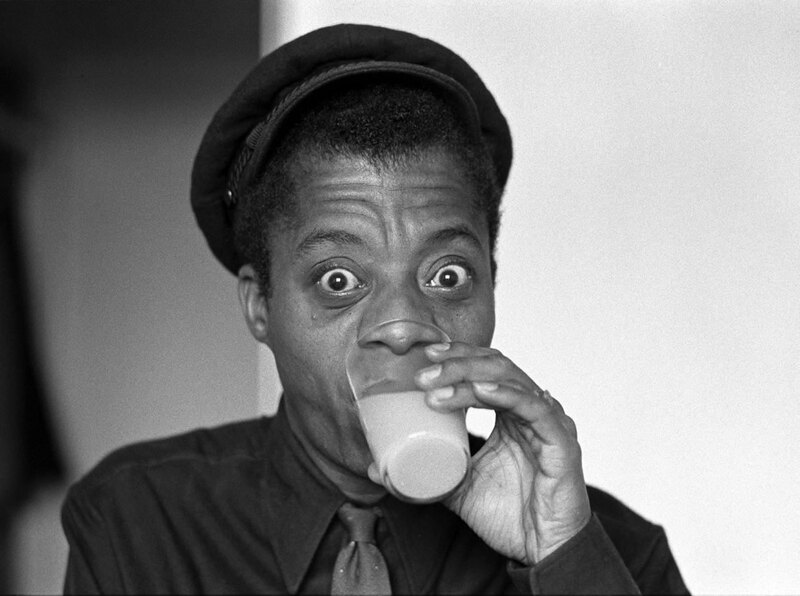 Have a drink with your girl Nina up in the heavens, dear Baldwin…and then have a chat with Maya, Amiri, Billie, Miles… What a fantastic birthday party you must be enjoying! Would you mind including my Nana into the conversation– you two would have the most fabulous debates! Is Jesus turning water into wine again? What a treat for your 90th! August 3, 2014 .Reading time 3 minutes. 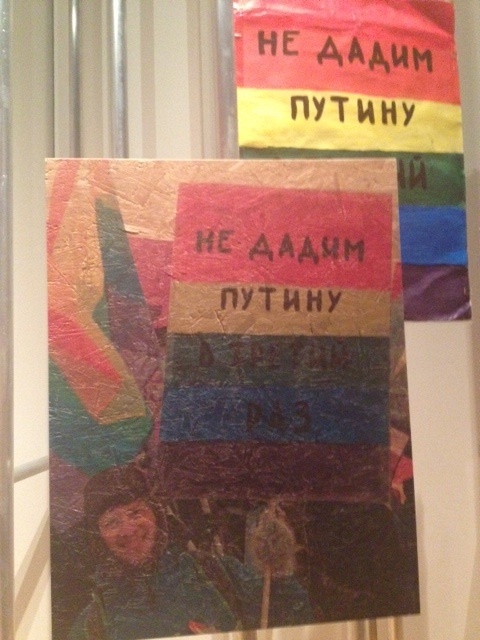 The exhibit showcases varying objects that have supported social movements from the 1970s to present day. 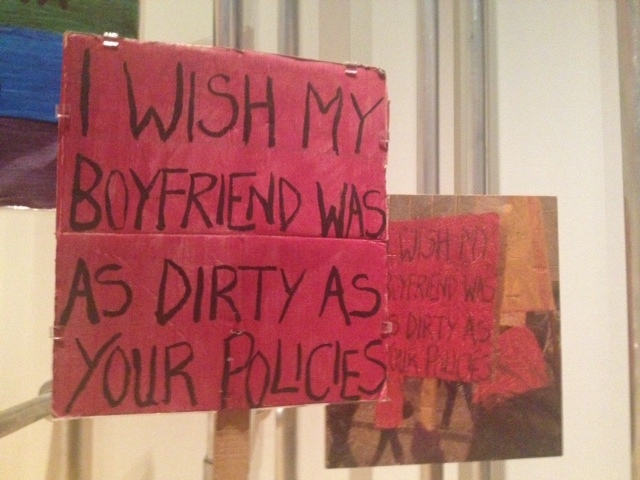 On display, are poster signs, quotes inspiring action, and other objects created to defy political institutions, and to symbolize human rights around the world. As a whole, the exhibit showcases the ways that seemingly simple objects can serve as points of resistance. 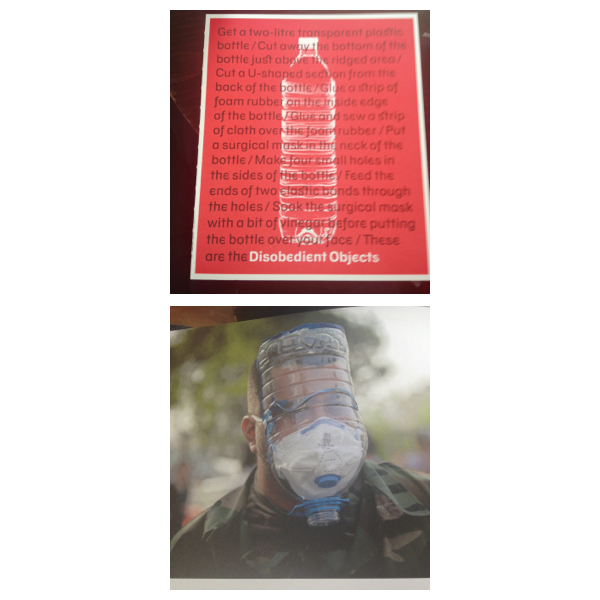 The above picture, also the cover of the exhibit’s catalogue, gives directions on how to create a protective mask from a water bottle. Protestors from many recent “occupy” movements used these masks to protect themselves from getting hit by police with tear gas. When I think of protest movements, I usually think about the past. 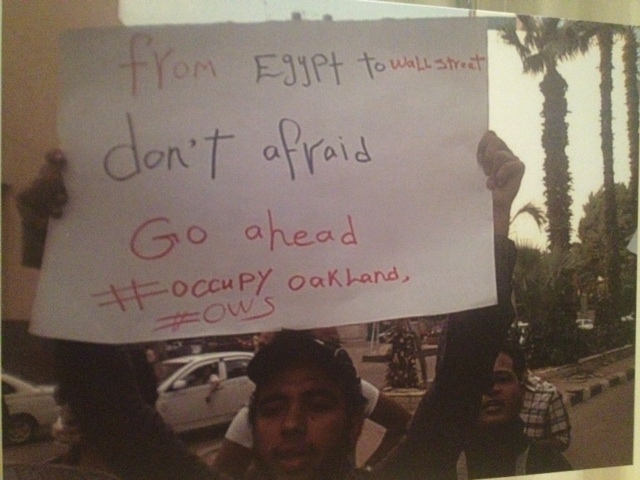 But, what was chilling about this exhibit was how recent many of these social movements were, some happening now (i.e. police brutality, LGBTQ rights, Palestine, budget cuts in schools). I wouldn’t consider myself ignorant to what’s going on in the rest of the world, or walking distance from my Oakland flat, but I guess I hadn’t really contextualized our reality– the daily grind of people all around the world fighting for safety, education, peace… As I walked through the powerful exhibit, it felt like I was looking in a mirror. Our reality is already being curated, and soon it will be neatly organized onto a timeline in our children’s history books. This exhibit not only highlights the revolutionary nature of signs, buttons, or water bottles, but it also reminds us that social movements aren’t glorified moments of the past, but critical conditions of our present. The question that always runs through my head when I think about my position as someone who wants to see social change is, how can my actions bring actual change, rather than mereley being an echo of the past? What happens with movements when the marches are over… when the objects of disobedience are obsolete? 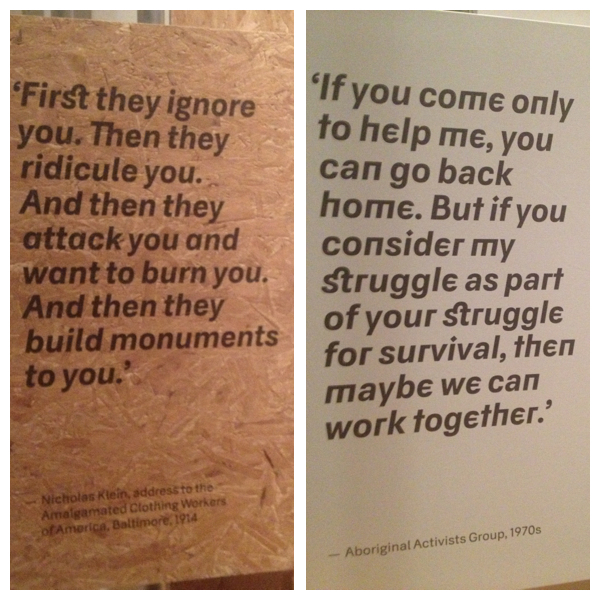 * On a side note, it felt a bit strange to be in the ornate V&A, which– let’s be honest– reeks of the legacy of colonization, while observing an exhibit that responds to the disobedient usage of money and power. All photos were taken by my lil’ ol’ iphone 4s– no filter. 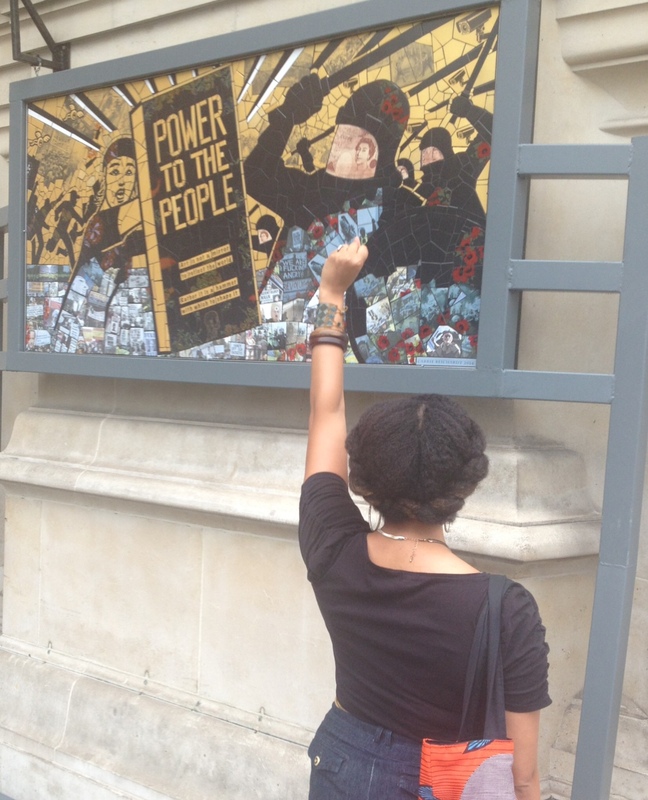 Disobedient Objects will be open and free to the public, until 1 February 2015.